We design and develop mobile websites that are responsive and compatible with most mobile devices, offering your visitors a more enjoyable and mobile friendly experience while they navigate through your site. 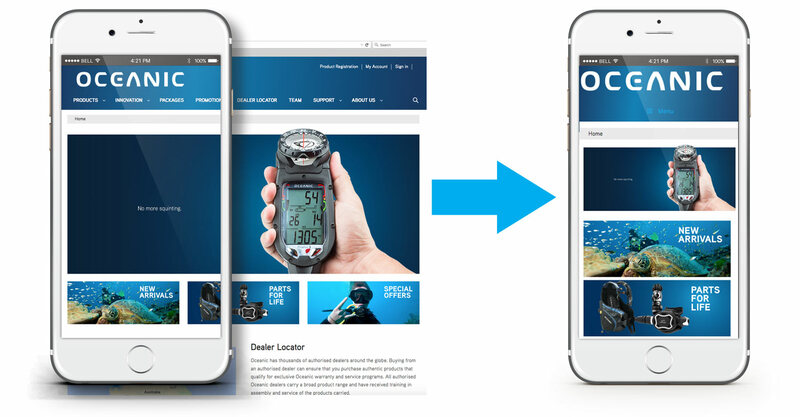 A mobile responsive website means that it will automatically “respond” to fit the size of the mobile screen that it is being viewed on. Mobile responsive web design has long been Google’s preferred choice for search-friendly websites. 78% of smartphone owners use their mobile device to access the internet. The fact that a website is visible on a mobile device does not mean that it is a “mobile friendly” website. If the user is still required to repeatedly pinch their screen to zoom in and out in order to see and navigate the site this means the website is NOT mobile-friendly. Living in a digital world that’s gone mobile we get to enjoy better mobile experiences more often and as a result our expectations for businesses to be mobile friendly have increased while our tolerance toward non-mobile friendly businesses has decreased. Out of the 78% of people using their smartphone to access the internet 30% of these searches will abandon within 4.5 seconds if the site is NOT mobile-friendly. A responsive website will prevent this unnecessary loss increasing user interaction as well as overall customer acquisition and revenue.